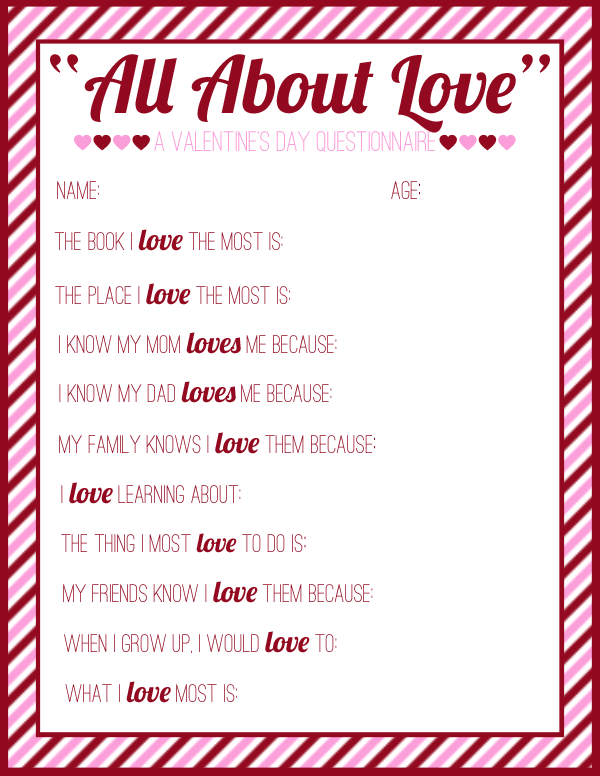 I had so much fun making this love-themed questionnaire for Valentine's Day, and I hope your young kids will have just as much fun filling it out. Just click the image below to download. Enjoy!